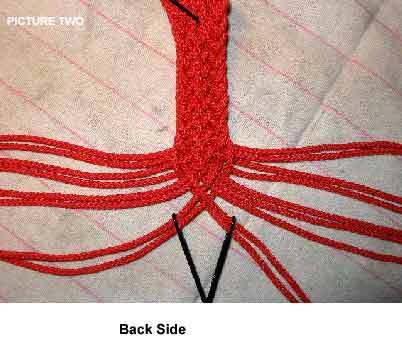 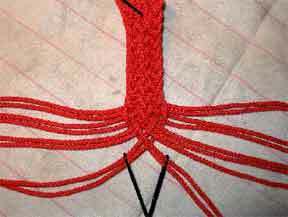 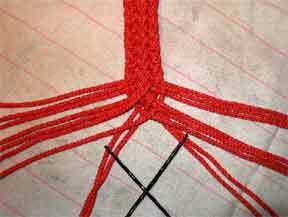 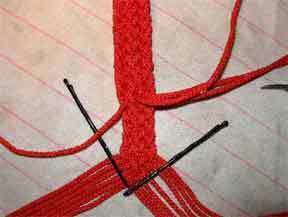 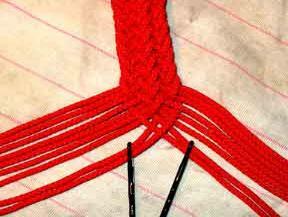 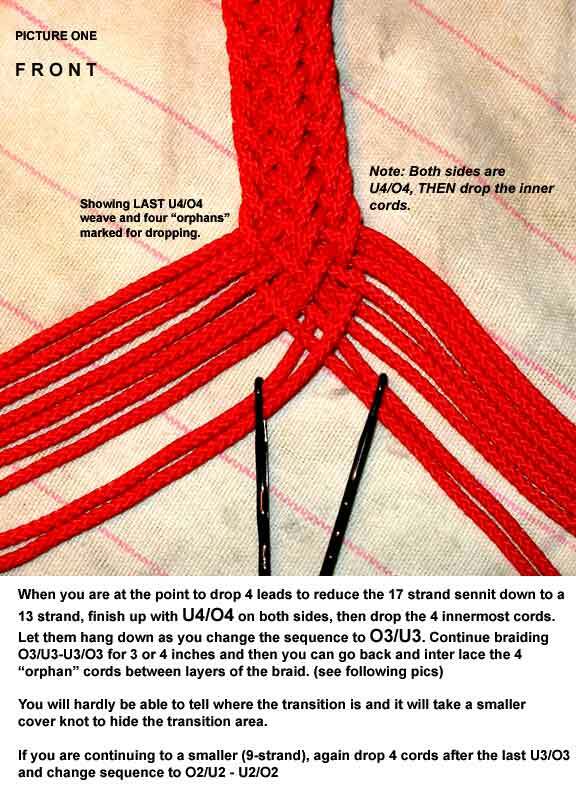 by stepping down the number of lines to allow a smaller cover knot or for joining two braids into one. 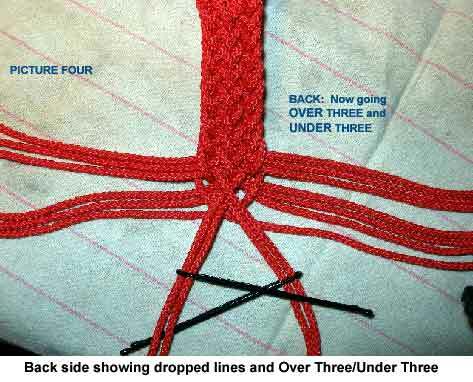 Instructions and notes are contained in the LARGER pictures as well as on the page. 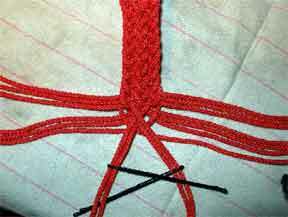 smaller cover knot to hide the area. 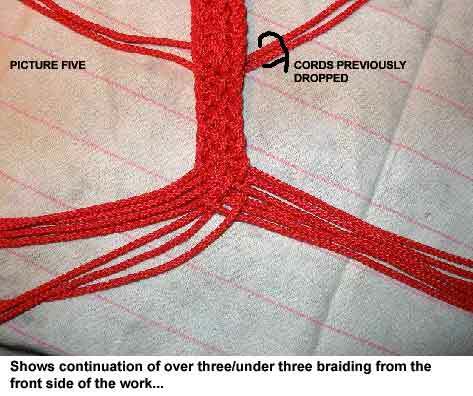 Back side showing 4 dropped leads. 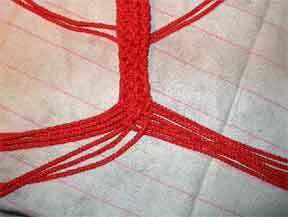 Front showing continuation with O3-U3 sequence. 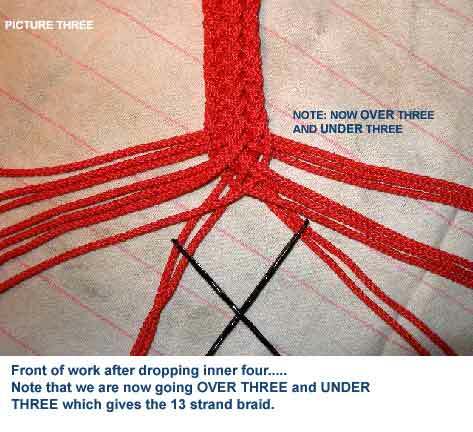 Back showing continuation with O3-U3 sequence. 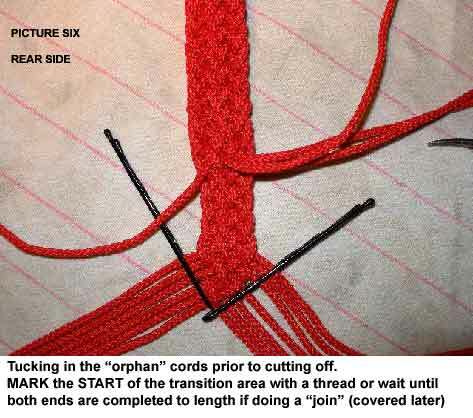 Back side showing 4 orphans tucked before cutting off.